It is up to you to decide whether or not these occurrences are all merely coincidental. Sunday’s supermoon caught my attention because I had heard there would not be another one until 2033. I had seen blood-moons (when the moon turns reddish) before, so lunar eclipses are not too rare. 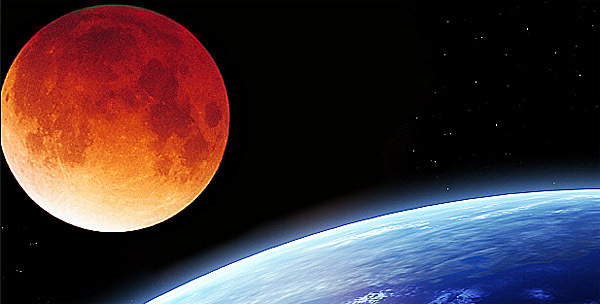 Statistically, an average of 2.5 lunar eclipses happen per year. But the fact that Sunday’s lunar eclipse was a total eclipse, as well as a “supermoon,” meaning that the moon appeared 14 percent larger than usual because it was at the point closest to Earth, made me realize that this event was a bigger deal than I had thought. Not only was Sunday’s blood-moon both a total lunar eclipse and a supermoon, I learned that this total lunar eclipse was the last of a lunar tetrad, meaning that it was the last of four blood-moons (total lunar eclipses) which have occurred consecutively since April 2015. To top it all off, Sunday’s Blood-Moon/Supermoon/Last of Lunar Tetrad Moon occurred on the exact same day of Israel’s Feast of Tabernacles. In fact, all four blood-moons of this past tetrad have all happened on the same day as major Jewish feast days. Tetrads have only happened 55 times since 1 AD, and only 10 of those tetrads have occurred on the same days as major Jewish feast days. The next tetrad coinciding with major Jewish feast days will be in approximately 500 years. In 1492, right before the tetrad of 1493-1494, the Spanish Inquisition occurred, in which Jews were forced to convert to Catholicism, and many were cruelly tortured and burned. It was also during this time that Columbus discovered the Americas, and it is believed that many wealthy Jews helped fund his voyages as to find a means of escape from the Inquisition. In 1948, just right before the tetrad of 1949-1950, Israel became a nation in one day, and for the first time in 1,878 years, Jews from all over the world began migrating back to their original homeland. In 1967, during the tetrad of 1967-1968, the Jews miraculously won the Six-Day War, and for the first time in 2,000 years, the City of Jerusalem was under Jewish control again. It is up to you to decide whether or not these occurrences are all merely coincidental. But think about the statistical significance of these events -- they reveal that significant events tied to the nation of Israel happen around the same time as these lunar tetrads. If you have not been keeping up with the news lately, now is the time. The whole world has been trying to get Israel and Palestine to reach a peace agreement in the last few decades, and even though it seems that the conflict in the Middle East will never go resolved, a peace agreement has been prophesied in the Bible, and in light of recent events, it will happen very soon. This peace agreement will be what the whole world has been waiting for, and it will spur on dramatic world events that will affect all of us. So, do not overlook great signs like Sunday’s blood-moon. Just like how we look to the changing colors of leaves in the trees to indicate that the seasons are changing, so are we to observe the signs around us that strongly indicate that we are entering into an extremely significant season in our world’s history. It's time that we start looking up and start thinking about why all these major signs are occurring, and how we can live differently in light of that.